With all the much-needed rain we have been having, and being stuck indoors a little too much lately, I can't wait to get out in my garden! Luckily, the biggest garden events of the year are just around the corner. The 25th annual Spring Garden Market brought to you by the Santa Clara Master Gardeners, will take place on April 13th, 9 a.m. to 2 p.m. in Martial Cottle Park, 5283 Snell Ave, San Jose. This year's event is being held in conjunction with the Park's Spring Celebration, which runs from 10 a.m. to 3 p.m. The market is a fabulous, fun-filled, family event featuring tasty food, music, plant sales, gardening talks and tours throughout the day. 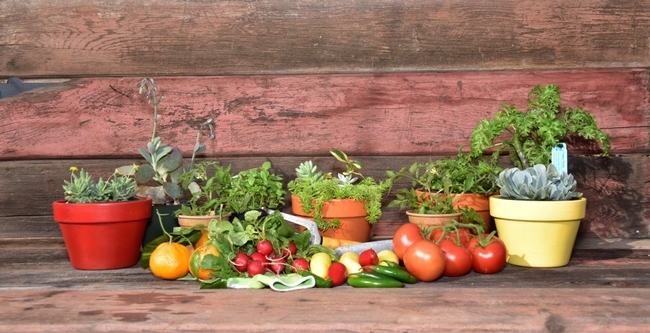 If you enjoy edible gardening or would like to learn, this truly is the event for you. Among the plants for sale will be 77 varieties of tomatoes from cherry and plum to classic and beefsteak, and 72 choices of peppers, from super sweet to fire-engine hot varieties. If you haven't grown your own herb garden, we will have everything you need to get you growing. Growing herbs is a great project to start with your kids. Choose from 10 varieties of basil, and add in some chives, dill, oregano, fennel, lemongrass, even some chocolate mint. This year our flower team has outdone themselves by seeding up more than 50 varieties of amaranth, celosia, cosmos, rudbeckia, salvia, sunflower, zinnia, and many other blooming beauties. And, of course, we will have an amazing array of succulents. You can purchase individual plants to make your own creations or buy one of the gorgeous, pre-planted “works-of-art” that our succulent team has put together. 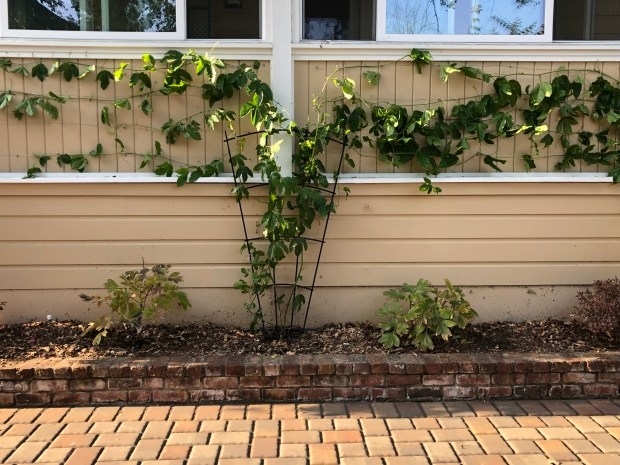 There will also be a number of educational talks on many topics such as container gardening, tomatoes, chiles and peppers, and how to grow succulents and native plants. Workshops will include how to care for and clean your garden tools, composting, controlling gophers and moles, and much, much more. For more information visit the Master Gardener's website. The Going Native Garden Tour 2019, now in its 17th year, will feature tours of more than 100 gardens from Morgan Hill to San Mateo showcasing California native plants. The North Bay tour is on May 4 and the South Bay tour is on May 5. Both run from 10 a.m. to 4 p.m. Visit the website for more information. The Bringing Back the Natives Garden Tour will feature more than 30 native/Mediterranean gardens throughout Alameda and Contra Costa counties. The15th annual tour takes place May 5, 10 a.m. to 5 p.m. Some gardens will feature live music, artwork, native plants for sale and plenty of activities for the kids. Visit the website for more information. The 10th annual Spring Garden Market of San Mateo and San Francisco counties, a plant sale and educational fair brought by the UCCE Master Gardeners of San Mateo and San Francisco Counties, is April 13, 9 a.m. to 1 p.m., San Mateo Events Center, 2495 South Delaware St., San Mateo. Visit the website for more information. The 8th Annual Great Tomato Plant Sale will take place in three East Bay locations. Note that only cash or checks are accepted. Visit the website for more information. Central County Sale: Our Garden 2405 Shadelands Dr., Walnut Creek, March 30, 10: a.m. to 3 p.m.
West County Sale: Richmond Public Library, 325 Civic Center Plaza, Richmond, April 6, 10 a.m. to 3 p.m.
East County Sale: Mangini Garden in the Contra Costa County Fairgrounds, 1201 W 10th St, Antioch. This article first appeared in the March 14, 2019 issue of the San Jose Mercury News. 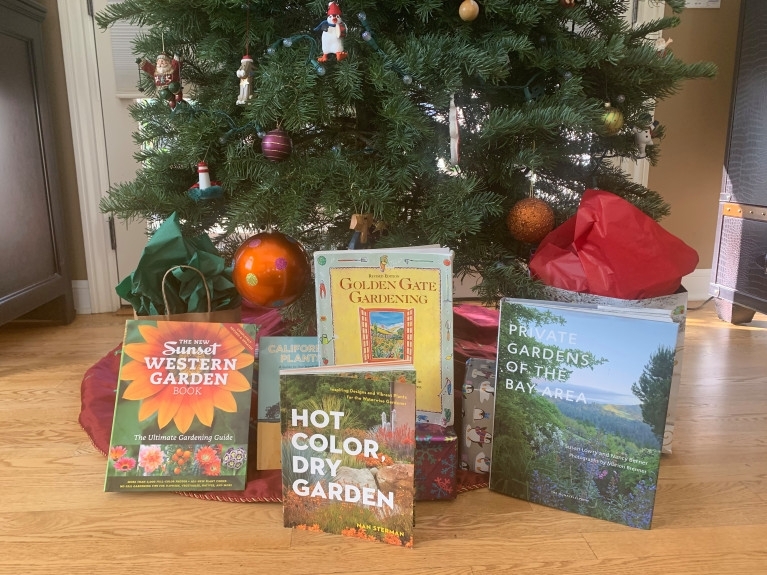 If you are looking for a special gift for that gardener on your list, one of these books will be a great addition to the tool shed – I mean bookshelf. If you want to start your first garden or want a refresher on the basics of organic gardening, this is a good book to start with. It is written in a friendly, easy-to-read style. It provides information on soil, plant care, pest and weed control, and attracting beneficial insects to the garden. The gardener interested in California native plants will love this book. The photos are fantastic and there's one for every plant mentioned. Not only does the book list both the common and scientific names, it also includes the history and origin of each plant. There are also maps that show growing regions. This well-done, coffee table format book showcases more than 35 private gardens in the San Francisco Bay Area. It has stunning photos as well as inspiring landscaping ideas for tiny spaces, hillsides, and even rooftop gardening. Information on soil and microclimates is included as well. Drought and dry weather are becoming the new normal here in California. If you want to have colorful, vibrant, low-water gardens that are teaming with birds, butterflies, and wildlife, this book provides good information and photos to get you going. This is a great book to get your kids excited about gardening! You'll find instructions for creating a moon garden, pizza garden, pumpkin garden and even a garden in a boot. With a list of the 20 best plants for kids and instructions on making seed tapes, your kids will be digging right in! Although the authors live on the East Coast, the information and format provided in this book will be useful to both the novice gardener or seasoned guru. It not only offers really good design information, it also has details on soil fertility, plant groupings, watering, cuttings, bouquets, gardening arts, and lighting. The third edition of this famous book, often called the go-to encyclopedia of vegetable gardening, has more than 400 pages of tried-and-true information on growing year-round herbs, fruits, and veggies throughout the San Francisco Bay Area. Concise, clear data is given on what and when to grow from seed and transplant, pests, disease, weeds, watering and even harvesting. Thanks to the Master Gardeners who gave their input on great garden books to give: Ingrid Graeve, Janet Hamma, Paula Larkin Hutton, and Heather Dooley. This article first appeared in the December 23, 2018 issue of the San Jose Mercury News. On a fluke I picked up a passion fruit plant at my local farmer's market. A few of my Master Gardener friends had been successful growing it and had raved about the fruit. I, however, really knew nothing about growing it and very little about how to use it. I planted it in a spot on the side of our home near the driveway where I had had a hard time getting anything to grow and really take off. Let me tell you, I hit passion-pay-dirt with this little one-gallon plant! Not only has it taken off, it is trying to take over the side of my small, built-in porch. Passiflora, or passion flower, is a genus of more than 500 species of flowering plants. Most are vines that have prolific tendrils for climbing, but some grow as hearty shrubs or even trees. Ninety-five percent of Passiflora edulis, or passion fruit, (often known as granadillas) come from South America. The rest come from Asia, Australia, and North America. They are edible, vining varieties that are coveted for their fruit as well as their juice. Fruit can either be purple, yellow or bright green and can range in size from as small as a pea to as large as a grapefruit. They are sensitive to severe frost and prefer a moderately cool area when planted in warm climates. They like a relatively humid, moist area – but not too wet. If you decide to plant one, be sure to provide enough irrigation throughout the warmer months, but cut back on the water when the cooler weather hits. Be sure to amend with organic compost, agriculture lime and bone meal. When I planted mine, I mixed in organic soil amendment, some compost and a little bit of slow-release organic fertilizer (as I do with most everything I plant). Granadilla do best when trained on a trellis or arbor with the main leaders attached to the supporting structure. Allow fruiting laterals to hang down freely where fruit will be easily assessable. Pruning is best done in July or August before the fruit has begun to set. Remove old, dead and injured parts, prevent vine overlap and make sure all parts of the plant have good air circulation and light. 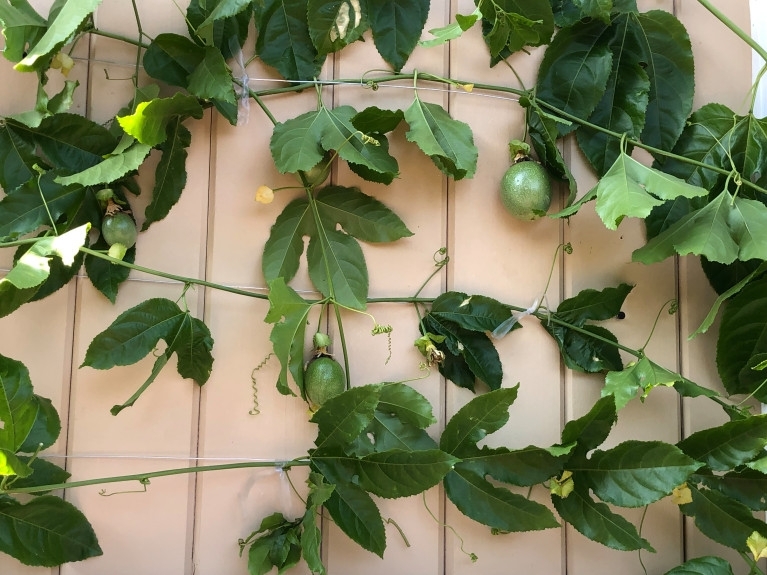 Passionfruit are really beautiful plants with dark green foliage and unusual, striking flowers that look like little fringy-starbursts. Flowers can range from vibrant red and brilliant fuchsia to blue, pink, all shades of purple and even tricolored. Although my plant had no tag, I believe it is the common purple granadilla because of its creamy white petals, deep purple crown and lime green ovary, anthers, and stigma. It has been in the ground for six to eight months, and I am so impressed with how easy it has been to grow. I am trying to train it into an espalier form. I just trimmed away about half of the plant and made four horizontal branches across the length of my porch (see photo). I have already harvested a couple of fruits and they are quite tasty. Even though flowers only last for a day or two and plants only survive three to six years – I would highly recommend trying one out. If you have the patience, you can try to grow it from seed, but if you're are like me just pick up a transplant from your local nursery or farmer's market and give it a grow! You can sometimes find fresh passion fruit and juice in your local market. It is also becoming a popular ingredient in drinks, cakes, icing, ice cream, and yogurt. This article first appeared in the November 25, 2018 print issue of the San Jose Mercury News. There are hundreds of varieties of veggies, herbs, fruits, and flowers that thrive in our Bay Area fall and winter climates. All the brassicas (Brussels sprouts, broccoli, cabbage, cauliflower), root vegetables (carrots, beets, radishes), loads of leafy greens (lettuce, mizuna, mustard greens, kale, chard, spinach) as well as peas, beans, potatoes, and onions, are great cool-season crops. If you aren't planning to plant an edible garden this fall, at least plant some cover crops wherever you normally grow your summer garden – even in your raised beds. Cover crops are excellent for “fixing soil”. They not only provide needed nitrogen, they also help loosen soil, suppress weeds, and support native birds and bugs with their flowers and seeds. Fava beans are one of my favorite cover crops, but they will grow for several months. If you want to grow a quick cover and still have time for your cool-season garden, try buckwheat. It will germinate in about five days and be ready to turn under in about a month. To get all the education and plants you need, don't miss the upcoming Fall Garden Market at Martial Cottle Park's Harvest Festival on October 6. Celebrating the agricultural heritage of Santa Clara Valley and the newest park in the county, the festival will feature food, entertainment, park tours and more. Master Gardeners will host children's activities, a Green Elephant sale, and a Help Desk LIVE! where you can ask questions and bring in a plant or pest sample to have it diagnosed. There will be educational talks all day long including “Growing Great Garlic”, “Growing Cool-Season Crops” and “Designing with Succulents”. You can also visit the Habitat, Pollinator and California Native gardens that are on-site. If you haven't tried growing Asian greens, you are missing out. They are easy to grow, very productive and can be used in salads, stir-fries, and soups. There will Chinese broccoli, pak choi, and tatsoi at the market. How about some Italian greens such as chicory, escarole, frisee, radicchio, and rapini? There will also be dozens of varieties of beets, broccoli, cabbage and cauliflower, chard and kale. And, if salad is your thing, you will have a dozen varieties of lettuce to choose from – or like me, you can plant them all and have your own salad bar! There will also be peas, turnips, onions and even kohlrabi, collards, rutabaga, turnips, and artichokes. Also, don't miss out on the flowering beauties: Agrostemma, Clarkia, Linaria, Snapdragons and Sweet Peas. Flowers not only add beauty, but they also bring in the bees and beneficial insects that are necessary for pollination and fending off the “bad bugs” that can damage your garden. Growing your own food, whether with your family or just on your own, is not only enjoyable, it is truly important! You will conserve water, waste less (no one wants to throw away what they have worked hard to grow), avoid using harmful chemicals, nurture your soil and help support and feed our native birds, bees and bugs. And most importantly, you will make a huge and positive impact on your children – kids will actually eat what they grow! So, head on out to one of our upcoming Fall Markets and dig in! 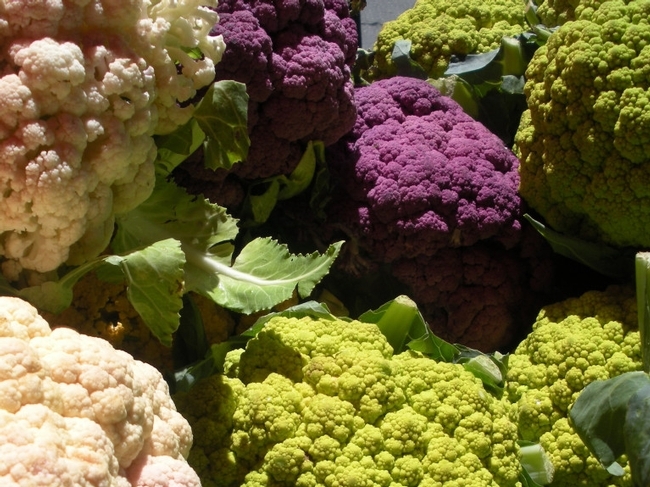 Here are the details for the three upcoming Santa Clara County Master Gardeners Fall markets. The main event is the one at Martial Cottle Park on October 6. Entrance is free, but there is a $6 fee to park. September 29, 2018, 10 a.m. – 12:00 p.m.
October 6, 2018, 10 a.m. – 3 p.m. This article first appeared in the September 23, 2018 print issue of the San Jose Mercury News. Spotted spurge seedling. A common garden weed. One of the hardest things about gardening is setting priorities. The to-do list never seems to end. Weeding, watering, deadheading, harvesting — there is always more to be done. Rather than feeling overwhelmed, you can make the most of your time in the garden by picking three strengths and three threats. By simply identifying the strengths and threats to your garden, you can significantly reduce your workload and increase your garden harvest. Take a walk with new eyes: Most people walk through their garden with specific chores in mind. Those mental notes are handy for getting things done, but sometimes they can interfere with our ability to see the bigger picture. Try to see what works and what doesn't at the seasonal level, rather than noticing which plants need watering or weeding right now. Walking through your garden with these new eyes will help you identify three strengths and three threats within the landscape. Three threats: Gardens and landscapes are not the tranquil sanctuaries they appear to be — they are battlegrounds. Plants, insects, pathogens, microbes, and many more are constantly battling one another for limited resources. Which three things cause the most trouble for your landscape? Is it slugs and snails? Aphids? Compacted soil? Is the soil too alkaline? By identifying the three biggest problems faced in your garden or landscape, you can focus your efforts specifically on them. Very often, correcting the biggest problems in a landscape improves overall plant health enough that they can handle the smaller problems on their own — and you can relax in the shade! Three strengths: Every garden has its strengths. It doesn't matter what your garden's strengths are, but you cannot take advantage of them until they have been identified. Walk through your landscape and ask yourself which plants cause you the least amount of trouble. Which areas seem to have less pest or disease problems? What types of weeds seem to turn up consistently? These conditions and plants can be used as indicators of what works best in your garden. After you pull weeds, ask yourself why those particular species are so successful in your yard. If most of those weeds have deep taproots (dandelions, mallow, prickly lettuce), try growing mustard, carrots, fennel, beets, and other root crops. 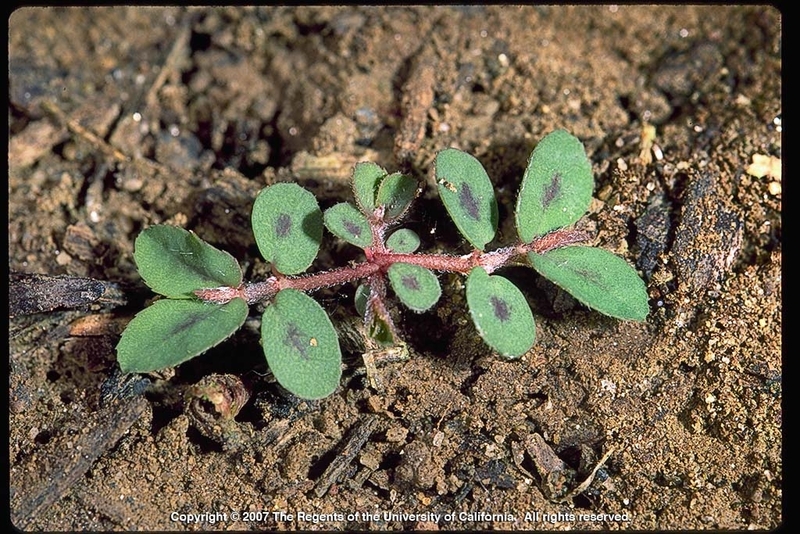 Spreading weeds (wood sorrel, bindweed, spurge) can indicate the perfect location for mint or oregano. Use the natural characteristics of your garden's strengths and put them to work for you. Identifying your landscape's strengths and weaknesses can help you stop fighting an uphill battle. Noticing what works in your landscape allows you to put effort where it will be most effective. This will help keep your plants healthier and give you more time to enjoy your summer. This article first appeared in the July 15, 2017 issue of the South Valley Magazine.